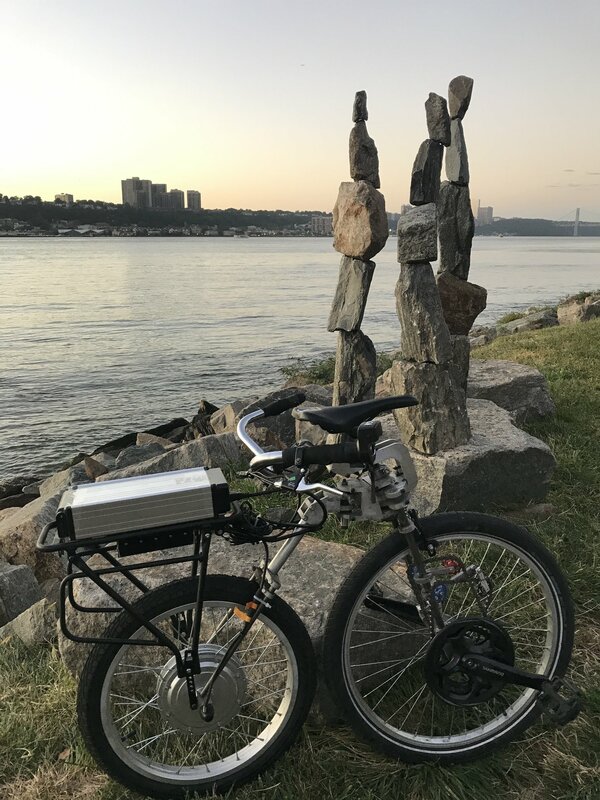 This is not a complete discussion of electrifying the bellcycle but mostly a product review of the AW Motor and Battery from Amazon. 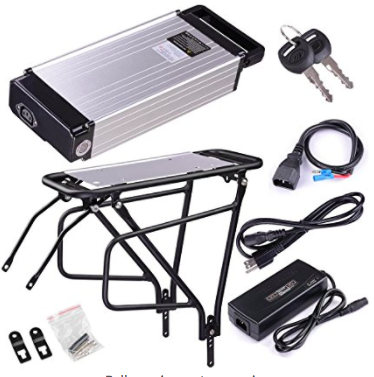 The battery kit includes a slightly noisy rear rack for mounting the battery. The rack was easy to install on the rear dropouts of the bellcycle. I just drilled and tapped two m5 holes into the dropouts and attached the upper mounts to one of the existing bolts on the rear pivot. 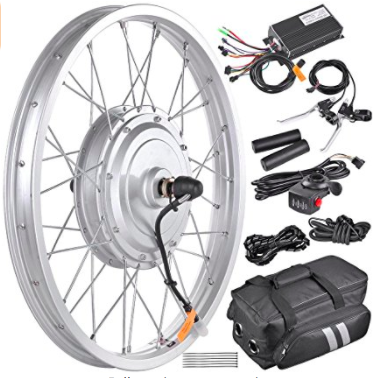 The motor kit includes all the wires you will need and they are already plugged in which is a nice time saver. The motor is heavy. I knew this but I forgot just how heavy. I mounted the motor controller under the rear battery rack. The cycle is fun to ride with the electric motor and that the motor has no problem with no pedaling hurtling you up to speed. The battery has an impressive range, I have gone 20 miles and gotten home with the orange(but not red) light on and some still in reserve. Of course this is still with a good amount of pedaling. There is now easily an additional 30 pounds in the rear. I feel it in the responsiveness. The cycle feels a “heavier” and less responsive. Todo: The electric system is too big and heavy. Pedal Assist would be a better fit. The battery mounting takes up too much room.